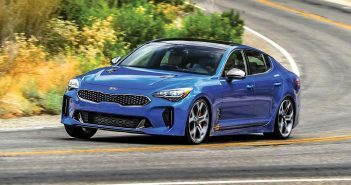 There was once a time when people were shocked to see a humble-looking four-door sedan destroy supercars on twisty roads. Today, this car has evolved into an enthusiast favorite that is capable of achieving great power. 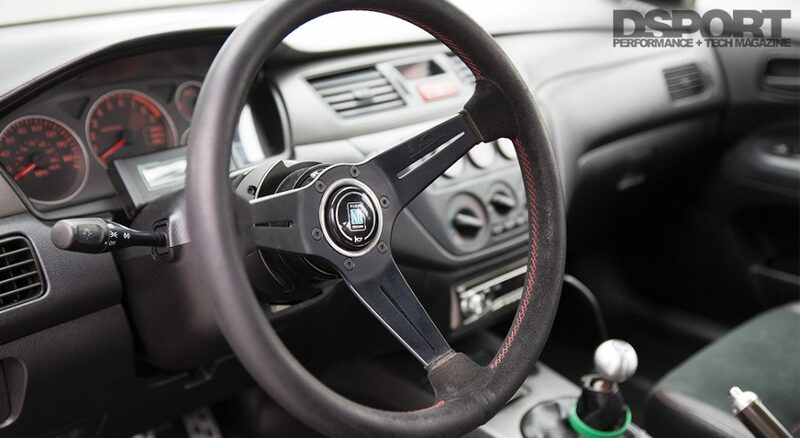 The Mitsubishi Lancer Evolution has been a force to be reckoned with since its debut in 1992. A 2.0-liter turbocharged engine with an all-wheel drive drivetrain, what’s not to love? The 4G63 engine powered every single generation of the Evo until the very last generation that debuted in 2007. 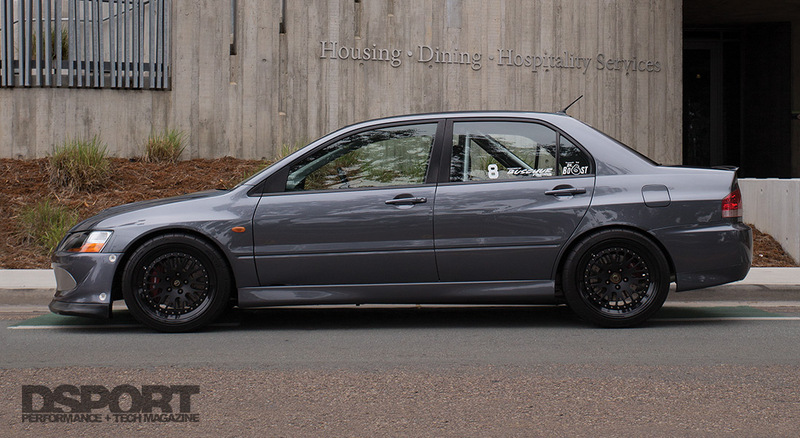 If you asked for the best of all worlds, the Mitsubishi Lancer Evolution was your answer. Before gathering his tools and getting his hands dirty, Sawaya had his goals set. 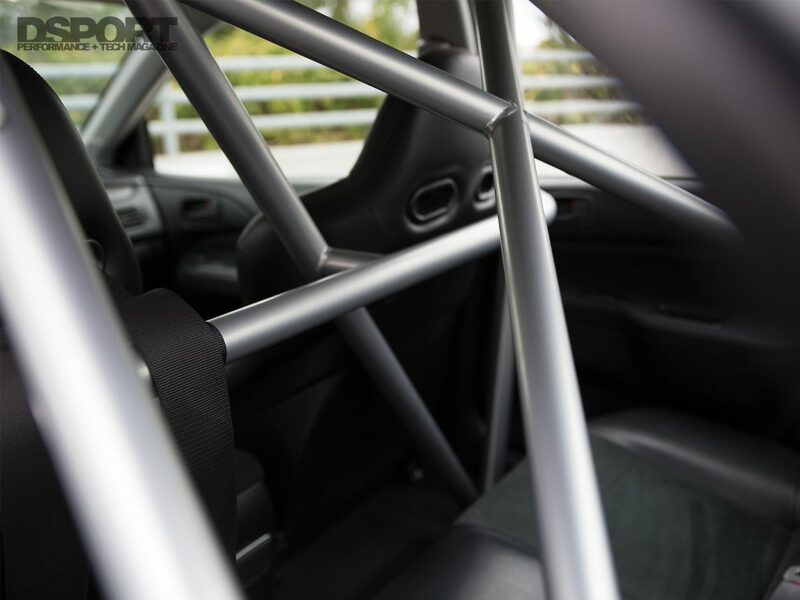 He simply wanted his Evo to behave like a lightly-modified car on the streets, while being able to run low 9-seconds in the quarter-mile and trap 160mph. It is no secret the Lancer Evolution is one of the most iconic cars in the import scene; however, the Lancer name hasn’t always been attached to performance cars. In 1973, Mitsubishi introduced their very first Lancer; a compact, efficient, and boring car. It wasn’t a car that motorsport fans would like, but millions of units were sold throughout the years. In the ‘70s and ‘80s, the Japanese company wanted to get more involved in the motorsports world, specifically rally. The journey led to the birth of the Evolution, a brand that will forever be engraved in the history of rally. Amongst the millions of Evo fans around the globe, Steven Sawaya feels like he’s living the dream with his 2005 Lancer Evolution. Sawaya has been a fan of the 4G63 engines for decades. The Evo opportunity presented itself when he crashed his Mitsubishi GSX DSM. The unfortunate incident was just the motivation he needed to take action and buy his father’s Evo. Although it didn’t make sense financially, he simply had to have it. 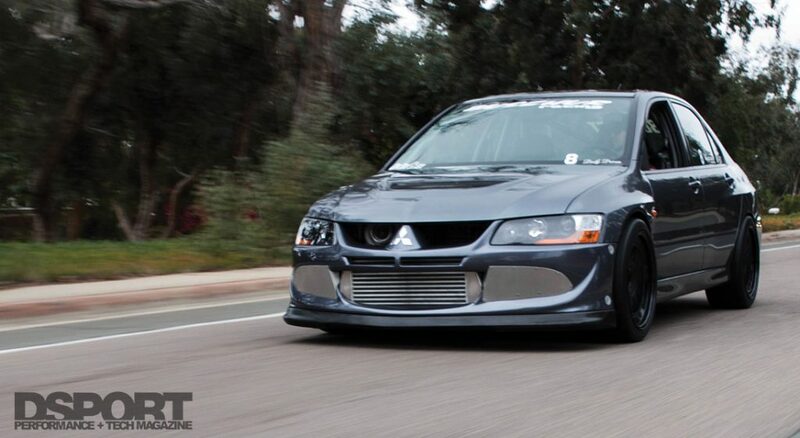 With his prior experience modifying the 4G63 in his Eclipse, he knew he could turn this Evo into a dragstrip monster. Just like not all heroes wear capes, not all fast cars are flashy. 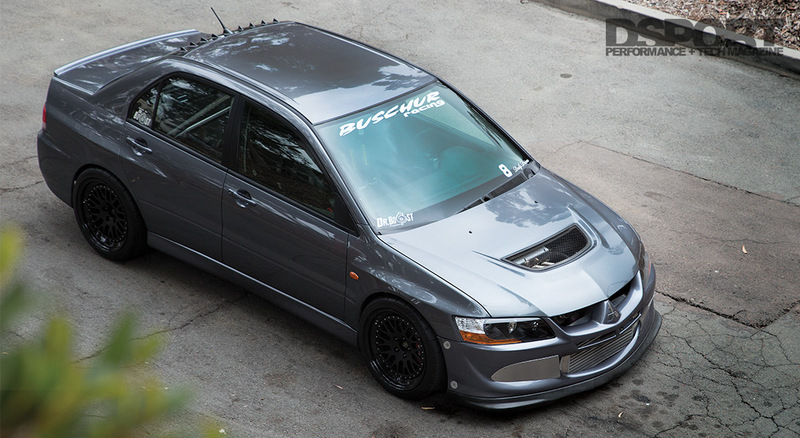 Steven’s Evo was the very first MR Version in his town, which is the version that came with the graphite grey color at the time. He wanted to keep the stock, unique color, but under the hood is where the magic lies. “I was always about the low-key look and ‘function-only’ type mods,” said Steven Sawaya. “It was literally my only car, so I tried to hide the power from the local law enforcement.” And power he hid. 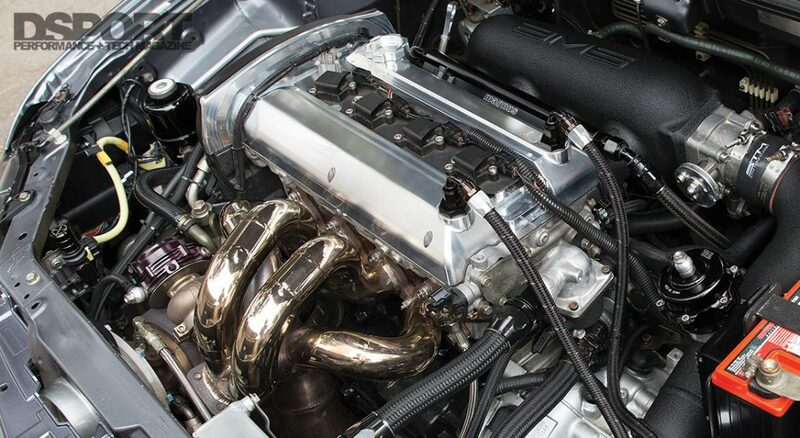 Under the hood of Steven’s Evo is a very modified 4G63 engine. The engine is machined by Buschur Racing. 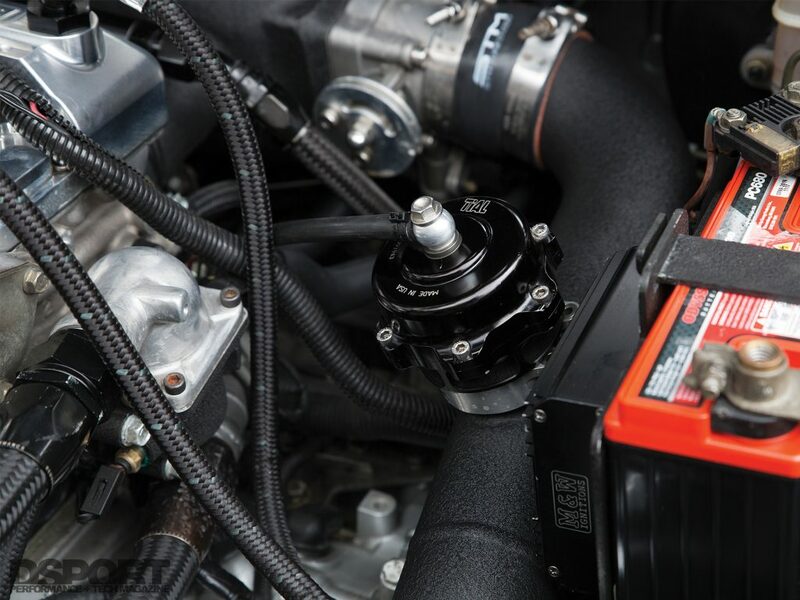 With a Forced Performance Super 99 turbocharger and STM triple pumper fuel system feeding 2200cc Injector Dynamics fuel injectors, the 4G63 delivers 862whp at 9,500 RPM and 612 lb-ft of torque at 5,900 RPM when running E85 fuel at 53 psi of boost. With the Evo weighing roughly 3,000 lbs, it holds the title of the 2nd fastest stock ECU Evo in the world. Despite being subtle on the outside, Steve’s Evo means business at heart. Before he can attempt running nine seconds in the quarter mile, he had to set up the rest of the car properly. With the suspension and chassis braces set up for the track, he installed a full PPG Dog Box transmission. The transmission helps the bigger turbocharger stay in the power band without falling out of boost between shifts. He upgraded the brake system with two-piece rotors, Ferodo DS2500 brake pads, and steel braided brake lines, as well as replaced the stock tires with Toyo R888R tires. He was finally ready to give it a run. Aside from the quarter-mile time goal that Steven had, he participated in numerous half-mile race events. He knew the car is capable of achieving great time, but with his target of nine-seconds, things can easily go wrong. He stayed up all night tuning the car and preparing it for the race. With no sleep, the car was on the trailer and ready to prove itself worthy against some of the fastest cars on the track. The day finally arrived and Steven pulled his Evo off the trailer. On the first run without any warming up or trials, Sawaya ran 9.3-seconds at 160mph, all while spinning in first and second gears. Steve and his team checked all the logs after the run, and it is safe to say that the Evo can run 8-seconds with ease in the quarter mile with some minor adjustments. Mission accomplished. Of course, since he was targeting a goal that requires a lot of safety equipment that he didn’t have, he only got one shot on the track. After owning the car for 12 years, Sawaya can finally reflect back at his journey. With many nights spent on the dyno hours before competition, the Evo has been a great companion and always delivered the power when it was needed. “I would say the entire process has been a nice mix of years of experience and especially good luck considering we are five years on the same engine,” said Sawaya. “I could not ask for more.” His biggest accomplishment is how the car performs on the drag strip while being capable of cruising smoothly on the roads. After a 23-year run for the legendary Lancer Evolution, Mitsubishi has ceased production of their rally car due to financial problems. Fortunately for Steven Sawaya, he gets to enjoy his Evo and watch it rise in value, all while putting it to the test on the drag strip every chance he gets. 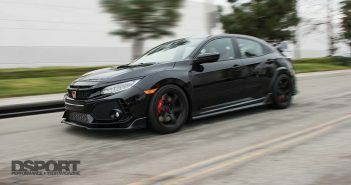 The road for this Evo may have come to an end in regards to further modifications; however, Steven owns another Evo that he plans on making even more powerful. 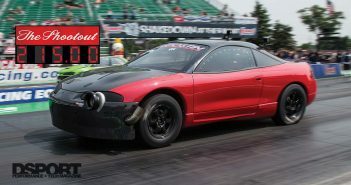 Stay tuned for his next build that is sure to bring the heat on drag strips.